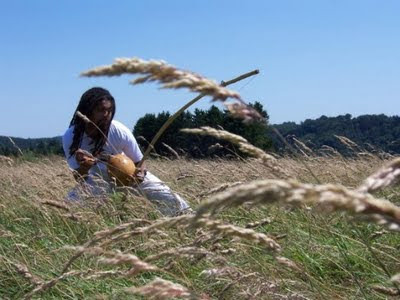 Järgnev tekst on Facebooki community'st nimega Pastinha's Garden of Capoeira De Angola. Autoriks Brother Jason. In chess, there are a certain number of moves but the possibilities are limitless. As no two chess games are the same, the Game of Capoeira de Angola also contains infinite possibilities. As no two opponents play chess alike, so too does Capoeira have such verity of expression. A good Chess player is at least two moves ahead of his opponent. He uses bate to cause his opponent to open himself up. The opponent may see the Black Queen open to an attack and take that opportunity only to find out that the Queen was a lure. The Angoleiro also capitalizes on this type of chicanery. He may leave himself to appear vulnerable to an attack, like a worm on a hook, in the hopes that his opponent will take the bate. He may also show an attack causing his opponent to respond in a certain way. If the opponent is unwitting… It’s “Check Mate”. Our opponent in the Jogo de Capoeira is very important. It is our opponent who brings out the best in our game. Some opponents like to make physical contact while others play without touching one another. As an Angoleiro, it becomes necessary to know who it is that we are entering into the Roda with. We gain this insight by watching. Today, in many schools, take downs are being taught to those who have no understanding of the danger or the harm that they can cause their opponent. They learn such moves and then do them in the Roda causing injury to someone who is just here to play a game. The Jogo de Angola is not a Karate tournament; there are no points for physical contact. The admiration comes from the Physical Poetry. Physical Poetry is a game without touching. Playing without touching our opponent brings out the Jogo Bonito (Beautiful Game). To play without touching requires the mind set that we are playing “with” our opponent as apposed to playing “against” our opponent. When we play “with” our opponent, they should feel challenged but at the same time be free to express his or herself to the fullest of his or her curriculum. When my opponent launches a strike, my job is to avoid that strike and launch a strike of my own at which point my opponent avoids my strike and launches yet another strike. It is the weaving together of these techniques that keeps the action fluid. The longer we can continue this back and forth, the more expressive the game becomes. When we start putting our feet on one another, the game just gets sloppy and ego driven and eventually turns into a reselling match. Too many people, in my opinion, are in awe with those Angoleiros who thrive on abusing less experienced players. This article was written by Brother Jason of the Group Pastinha's Garden of Capoeira de Angola.